The reason for my later post today? 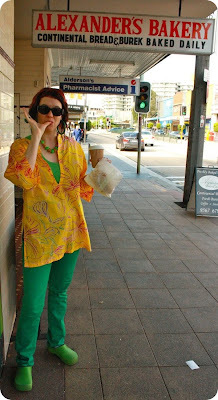 Well, I wanted to show this Ken Done kaftan top in both 'a.m.' and 'p.m.' style. 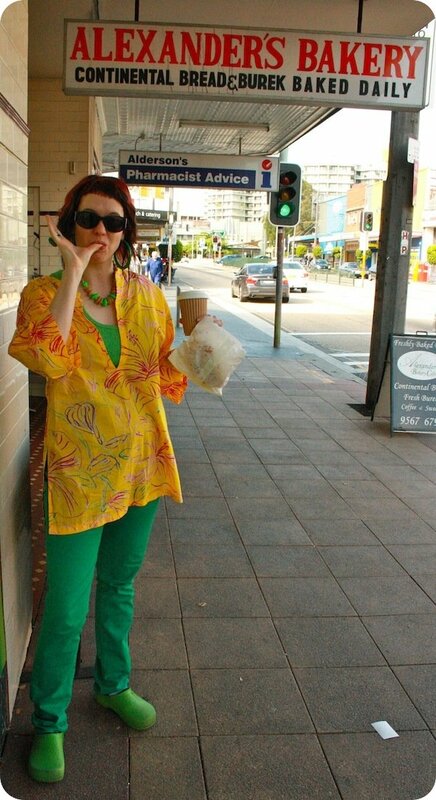 Vintage hoop earrings from Shag (Melbourne), op-shop bought necklace, Ken Done kaftan top (found in Newtown markets by my mate Bec! ), Levi jeans from US, Birkenstocks. And now, a more 'p.m.' 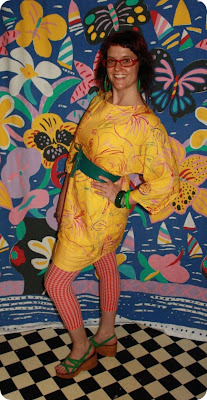 style of the Ken Done kaftan top. And the lesson is? Whatever the time of day, Ken Done works! 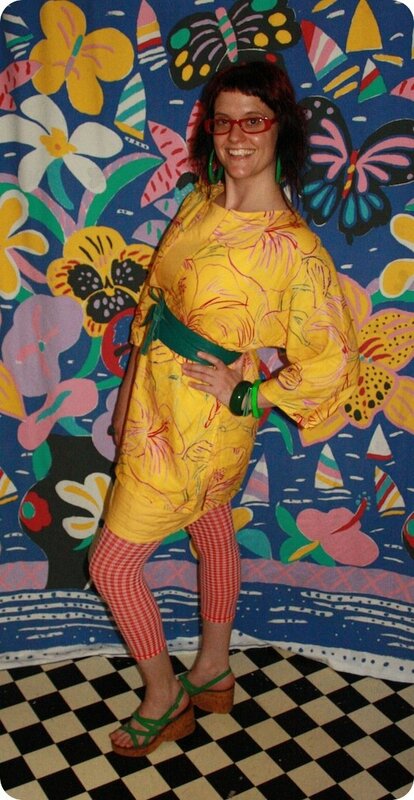 Vintage hoop earrings from Shag (Melbourne), Ken Done kaftan top, vintage Saba dress, vintage Amina shoes made in Australia (and found by me in Tasmania about 11 years ago!). And the day after bandanna day, a lovely shot of my own Canteen Ken Done scarf collection drying on our line. And yes, I can always do with more! Well I took your compliment Lyndel, and added it to your wonderful idea Popsie... the result was a relaxing evening of fun with some well-deserved bubbles!